The hottest ticket at Infineon Raceway is the Dodge/Save Mart NASCAR Winston Cup Series race that will take place on June 19-22. Additional races will also take place over the weekend, which will draw over 100,000 spectators. There is also another race in progress, the race to complete construction projects that must be in place for the NASCAR weekend. 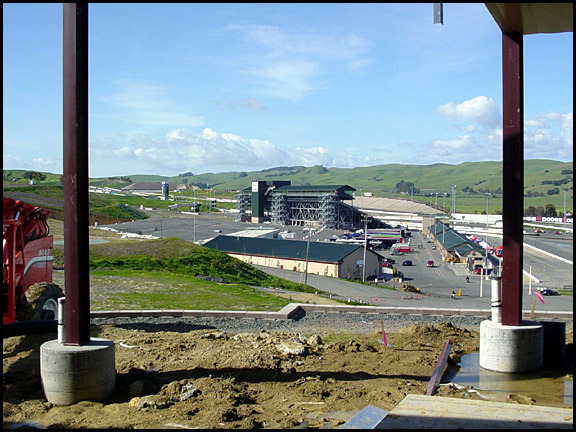 Ken Sutherland, Construction Manager at Infineon Raceway, oversees the building projects currently underway and is confident that the deadlines will be met. The new administration building, overlooking the raceway, is part of this project, so is Building B, situated closer to the track, which must be remodeled to accommodate NASCAR requirements. Building B will house a medical emergency center, a tire changing facility and conference area for NASCAR officials and drivers. A new main entry gate, built with stone columns, will be added for traffic entering off Highway 121. 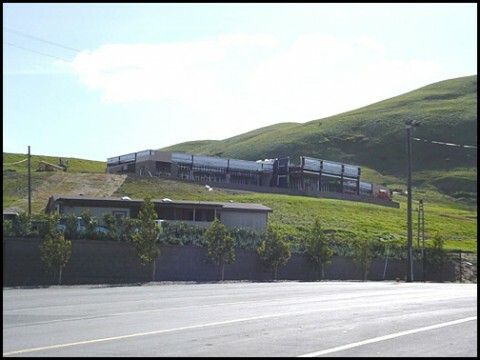 The administration building will be home to marketing and hospitality offices along with offices for the management team at Infineon Raceway. The entry way or lobby will feature a bank of 9 television monitors with racing information and news available to visitors. Coffered ceilings and a cherry wood reception desk accent the area. The 12-foot windows that run along the building facing the raceway give a panoramic view and add a surge of energy to the building that is inherent from the atmosphere at Infineon Raceway. Sutherland has assembled a team of subcontractors that he likes for their flexibility and cohesiveness. Of LeDuc & Dexter, he says, “They are very good to work with. They’re flexible to changes in schedule and all I have to is call them if I need something.” LeDuc & Dexter’s commercial department is currently completing the roof drainage for the administration building that includes concealed rainwater leaders that exit the water through underground piping. LeDuc & Dexter recently designed & installed all the plumbing work for the grandstands, hospitality suites, concession buildings, south shops, main food preparation facility and snack bar at Infineon Raceway.